Phoenix Periodontist Blog | Arizona Periodontal Group - Page 5 of 13 - This is the blog of Arizona Periodontal Group discussing periodontics and a healthy mouth! Teeth sensitivity is found in 12% of American adults typically between the ages of 18 and 40. This sensitivity can be brief or intense and is caused when dentin, or the internal part of a tooth, is exposed to hot, cold, acidic, tactile, or sweet substances. In recent years, there has been an increase in teeth sensitivity among younger patients due to excessive consumption of sugary drinks and frequent unsupervised use of teeth whitening products. Tooth sensitivity can signal the beginning stages of gum disease if left untreated. There are several options to decreasing tooth sensitivity depending on the cause, which include using desensitizing toothpaste, surgical gum graft, a root canal, or dental bonding. Here we’ll focus on a popular option: fluoride treatments. If you use desensitizing toothpaste and it does not relieve teeth sensitivity, an in office topical fluoride treatment may be a better option to consider. If it is major tooth sensitivity, Dr. Trujillo, would opt for a fluoride varnish, which is a highly concentrated form of fluoride that is gently rubbed on the surface of the tooth. It may be applied to the tooth enamel, dentin, or cementum to help prevent decay. It also helps to remineralize the tooth surface and treats teeth sensitivity. Fluoride varnish can be applied quickly and easily. It has a sticky consistency, allowing it to adhere to the tooth’s surface for several hours. It is officially recognized by the Food and Drug Administration as a desensitizing treatment. Keep in mind though, that due to the color of fluoride varnishes, it might cause temporary discoloration. As the varnish wears away with eating and brushing, the tint will fade. Another option is fluoride gel or foam that is professionally applied by Dr. Trujillo. With this option, the foam or gel is put in a mouth tray. You will then sit with the tray in your mouth for 3-5 minutes to allow your teeth to be immersed in a high concentration of fluoride. This brief treatment will strengthen dentin and tooth enamel, thus diminishing tooth sensitivity. Remember that there are several at home measures you can take to stop tooth sensitivity from the start. First, use a very soft bristled toothbrush and a low abrasive toothpaste. There are toothpastes specifically formulated to help soothe nerve endings in teeth. Be sure to brush a full 2 minutes, but do not over brush or push too hard. Also, your dentist may provide you with a special toothpaste that contains a high concentration of fluoride that will assist with diminishing tooth sensitivity. If you have very sensitive teeth, and need to get treatment done then schedule an appointment with AZ Perio Group in Phoenix. If you are experiencing slight or severe tooth sensitivity, don’t hesitate to call and schedule a consultation. Let Dr. Trujillo help you relive your teeth sensitivity and smile back to normal! Arizona Periodontal Group Offers the Pinhole Surgical Technique! If you are an aggressive brusher or have suffered injuries to your mouth, you might be living with gum recession, a sometimes painful, annoying issue that can eventually affect the stability of your teeth. Gum recession has a wide range of causes, like what was mentioned above, along with genetics and taking certain medications. However, no matter what the cause the result is the same: extreme discomfort and an unattractive smile. Fortunately, modern dental techniques are incredibly effective at treating gum recession. Older procedures for treating gum recession included gum grafting, where the graft is harvested from elsewhere in the mouth and sewn into place to cover where the gum recession is. Unfortunately, this procedure can be incredibly time intensive and difficult to recover from, which is why Dr. Trujillo, a phoenix periodontists, prefers the Pinhole Surgical technique, invented by Dr. John Chao, DDS, MADG. Pinhole surgery involves moving the gum tissue down from the inside through a very small incision about the size of a pinhole. Using proprietary tools, periodontists push the gum tissue downwards to cover root exposure, and then place tiny strips of collagen into the tunnel to hold the repair in place. Dr. Trujillo has received advanced training to offer pinhole surgery to his patients, helping his patients have a healthier smile from the benefits of this treatment. The pinhole surgical technique can be used to treat as many as 12 teeth at a time, speeding treatment and eliminating the need for multiple visits to treat gum recession. The incision made during pinhole surgery is so small that it doesn’t require stitches, which makes recovery a lot easier. Also, since Dr. Trujillo won’t have to remove tissue from elsewhere in the mouth to perform a gum graft, patients won’t have to take care of multiple healing sites. Pinhole surgery is so minimally invasive that most people can return to normal eating, drinking, and activities that day after treatment. Pinhole surgery is so effective that the cosmetic results are immediate, and they last for years. Patients enjoy teeth that are framed with healthy, smooth gum tissue and can enjoy a more comfortable smile right away. Is Pinhole Surgery Right for You? If you suffer with gum recession, schedule an appointment with Dr. Trujillo to see if the pinhole surgical technique is right for you. This innovative periodontal treatment has helped millions of people to enjoy a beautiful, pain-free smile, and it can help you too. The holidays are one of our favorite times of the year here at Arizona Periodontal Group, and we want to take this opportunity to thank our incredible staff and loyal patients. We wouldn’t be the Phoenix periodontal practice that we are today without all of the love and support the community has offered us over the years. 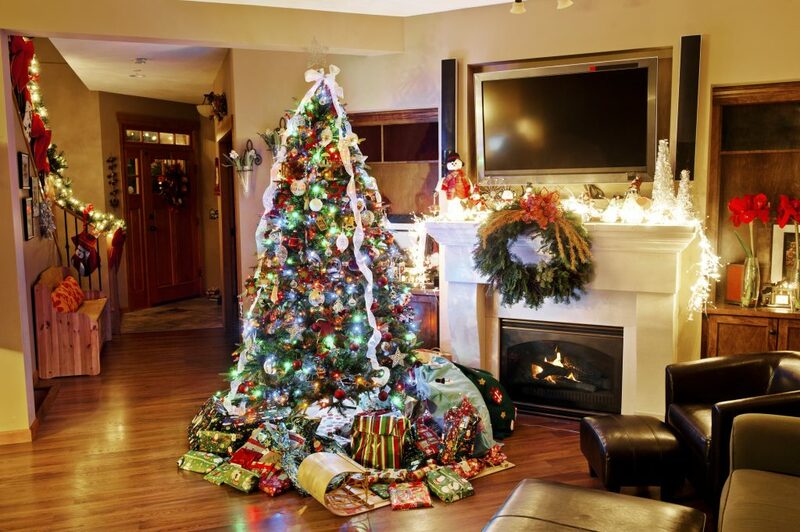 We want to wish all of our treasured clients and employees a very Merry Christmas. We hope that you will be able to spend time with your family, enjoy a little extra sleep, and share fun surprises with the people you love. Christmas is notorious for yummy treats and candies galore, which is why we also want to encourage all our patients to look after your oral health this holiday season. Gum disease is a very real problem that affects over half of all adults in the United States, and new research has even tied periodontal disease to other serious illnesses. To avoid dental emergencies during the holidays, begin your vacation with a periodontal exam. Comprehensive Periodontal Exams, also known as CPE’s, are recommended once a year to keep the teeth and gums free of disease. During these routine exams, Dr. Trujillo or Dr. Sanders will examine your teeth and gums for signs of gum disease, prior decay, and infections so we can treat the problems proactively. When you eat, the simple sugars in your meal feed the oral bacteria that live in your mouth, prompting them to produce acids. These “acid attacks” occur for as long as 20 minutes after you eat, which is why snacking between meals is so damaging to your smile–it’s a whole extra 20-minute acid exposure session every time you munch. To prevent problems, focus on eating at mealtimes, swishing your mouth with water after meals to dilute acids, and then avoiding the urge to snack. Try to avoid hard foods that could damage prior dental work, or pigmented foods that could leave behind unsightly staining. If possible, stay away from nuts in the shell, punch, pomegranate seeds, and unpopped popcorn kernels. If you do encounter any kind of dental or periodontal emergency over the holidays, please don’t hesitate to contact our office. We’ll do everything we can to get you the help that you need as soon as possible. Your mouth, just like the rest of your body, is comprised of several interconnected systems. When one component of your oral health suffers, the other systems are likely to fall under siege. This interconnected relationship is especially true with periodontal disease and bruxism. If you suffer from either or both of these conditions, it is important to visit Dr. Trujillo, your periodontist in Phoenix. Periodontal disease, or gum disease, is an infection in the structures that support your teeth. Periodontal disease is common but serious; if left untreated it can lead to tooth loss and serious health problems. Periodontal disease requires professional treatment, especially after the infection has created deep pockets below the gum line. Bruxism is the involuntary grinding, clenching, or gnashing of teeth which may occur unconsciously during the day or while you’re asleep. Bruxism results in weakened and worn down teeth, tired and sore jaws, and increased tooth sensitivity. Although bruxism may be a result of a number or different conditions, stress is the most common cause. How are bruxism and periodontal disease related? Bruxism can seriously exacerbate existing periodontal disease, making the gums more vulnerable to attack. The force from clenching and grinding can damage the teeth’s supporting tissues, deepening periodontal pockets and loosening teeth. A patient without gum disease is at greater risk of developing it, and a patient with gum disease will see the infection spread more quickly than average. 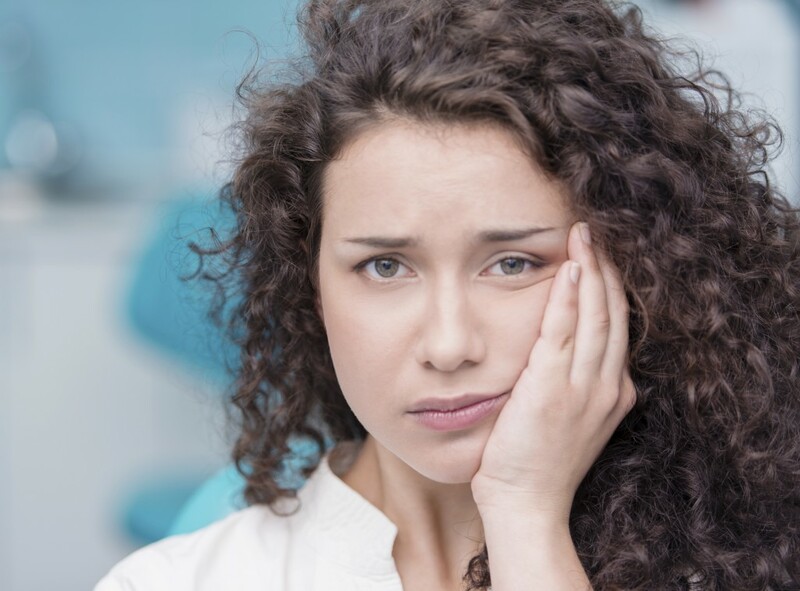 If you experience either bruxism or periodontal disease, it is important to seek professional help quickly, as both conditions cause more damage the longer they’re allowed to continue. A common treatment for bruxism is a mouth guard, which is designed to stop nighttime teeth grinding. Periodontal disease can be treated with scaling and root planing or laser gum surgery. Taking care of both your teeth and gums is essential for total oral wellness. Come to the Arizona Periodontal Group and let us show you how periodontal care can improve your overall smile. Make an appointment today!